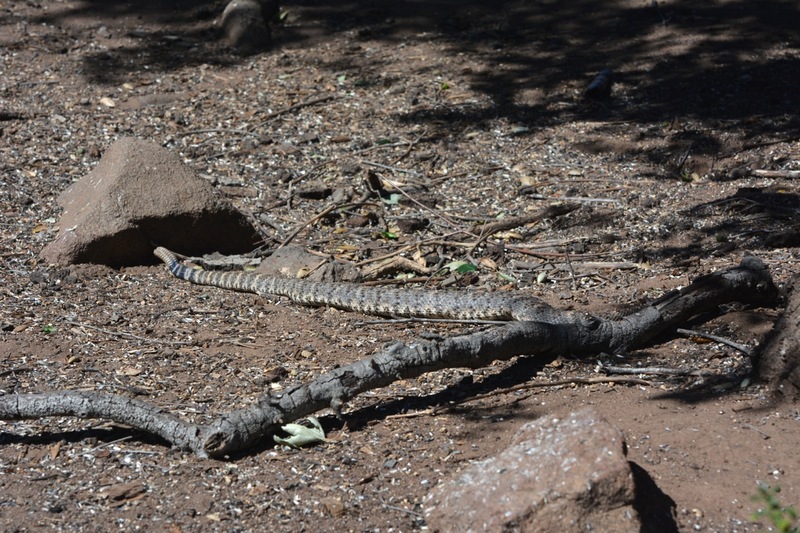 I have always been fascinated by snakes and so I was delighted to see a Speckled (I think) Rattlesnake move across from one resting place to another when I visited Silverwood Wildlife Sanctuary in San Diego County in May. 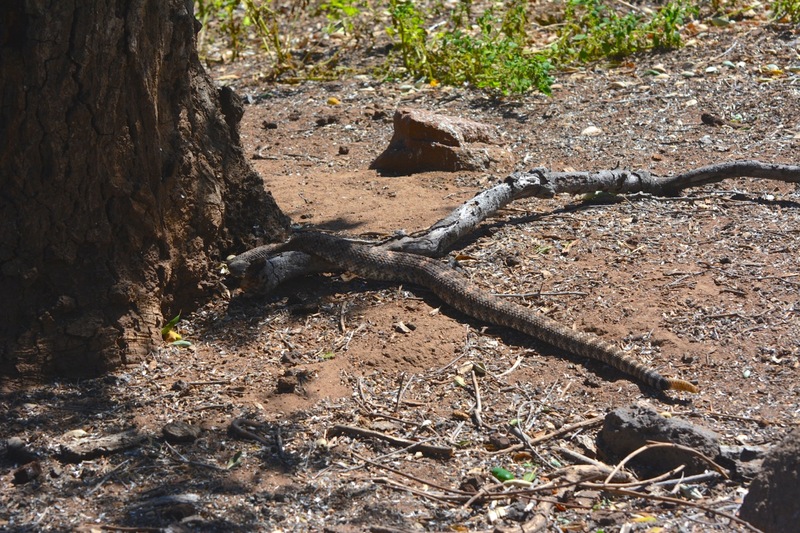 The snake slowly made it’s way to the base of a tree in the Wildlife Sanctuary – close to bird feeders that make birding and photography so easy there. 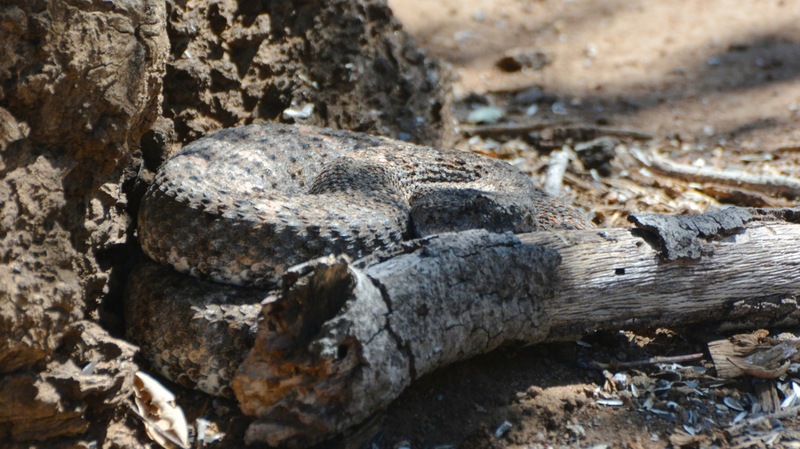 I took several photographs which I have posted here – the snake was really beautiful and the camouflage remarkable. 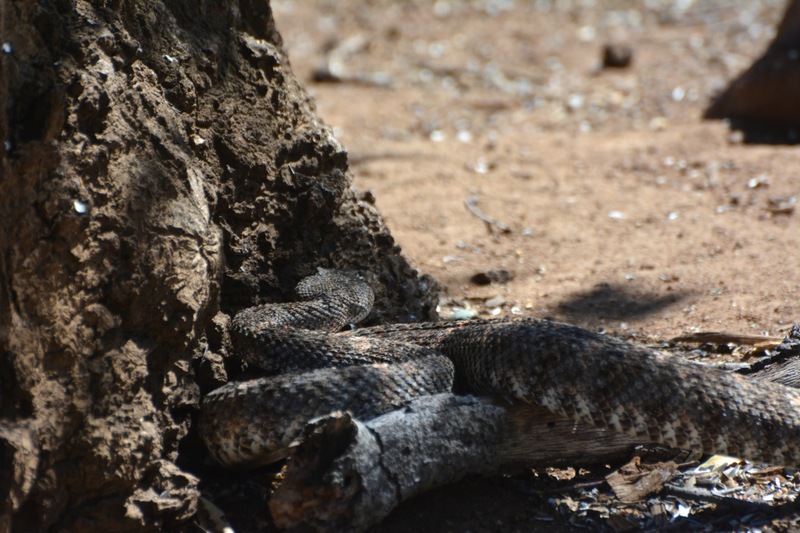 Image | This entry was posted in environment, General, Nature, outdoors, photography, San Diego, wildlife and tagged California, environment, Flora and Fauna, nature, outdoors, rattlesnake, San Diego, Silverwood, snake, wildlife. Bookmark the permalink. Yikes. 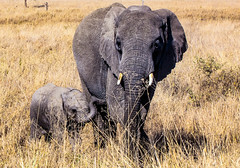 I sure hope you had a decent sized telephoto lens for these shots. 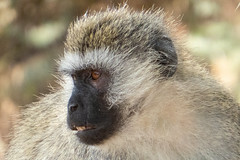 I used a 300 lens – and the reserve manager was by my side making sure I was at a safe distance! 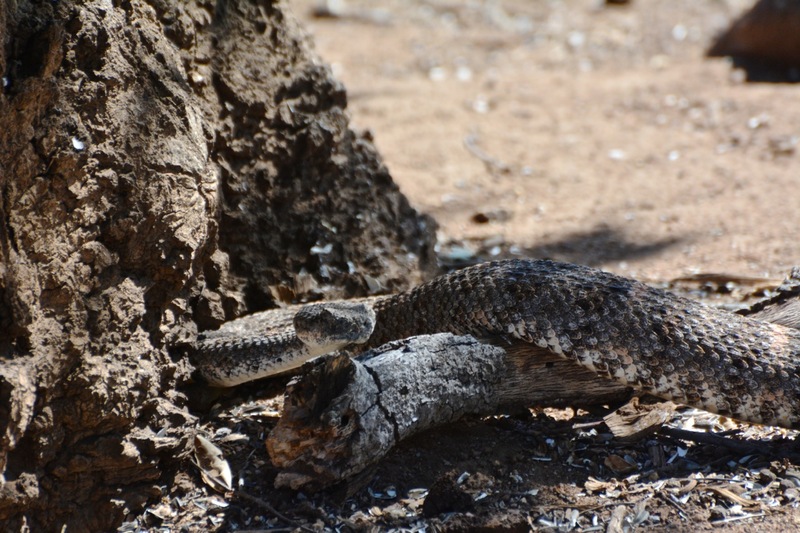 Nice shots but snakes really freak me out. 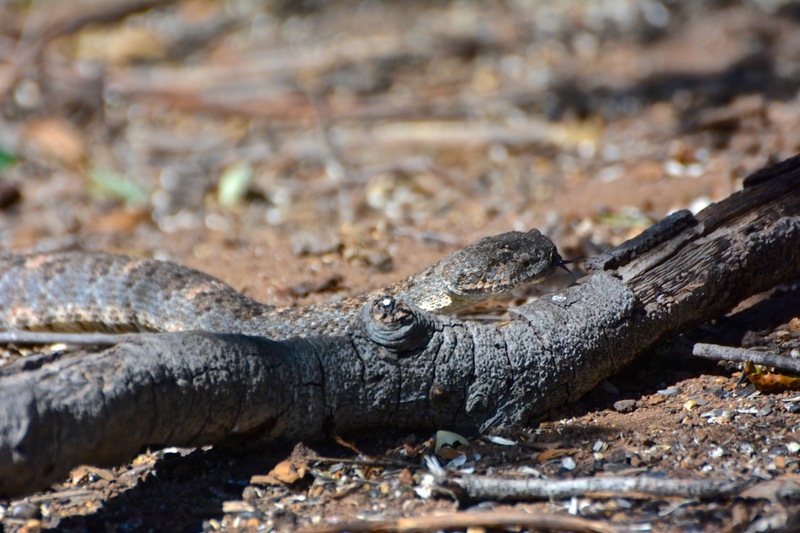 I used to be scared of snakes but now I am just fascinated by them – keeping a respectful distance of course! 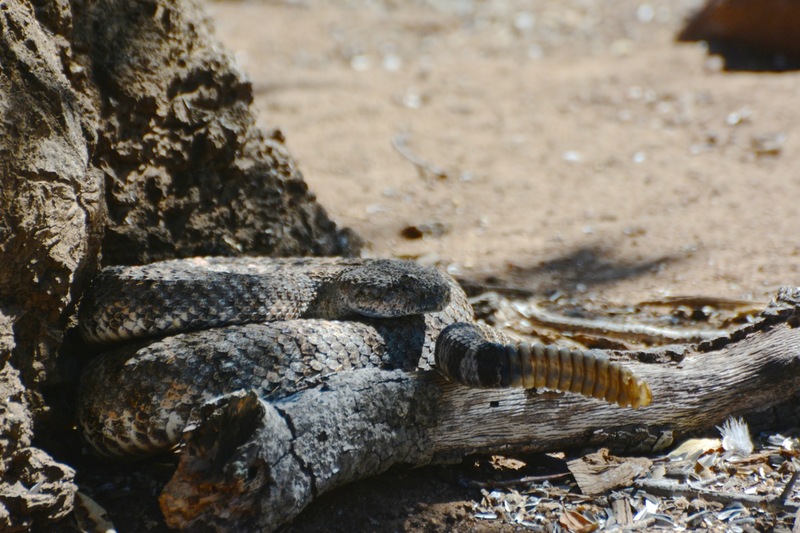 Beautiful shots of the snake, and the snake has a handsome rattle. Saddle-billed Stork Kruger, South Africa.